Recently I was invited along to experience the new Panasonic DX902, a television that Panasonic are extremely proud of. Instead of getting distracted with all the latest Smart TV features Panasonic is focusing entirely on the best picture quality they can get from a panel. 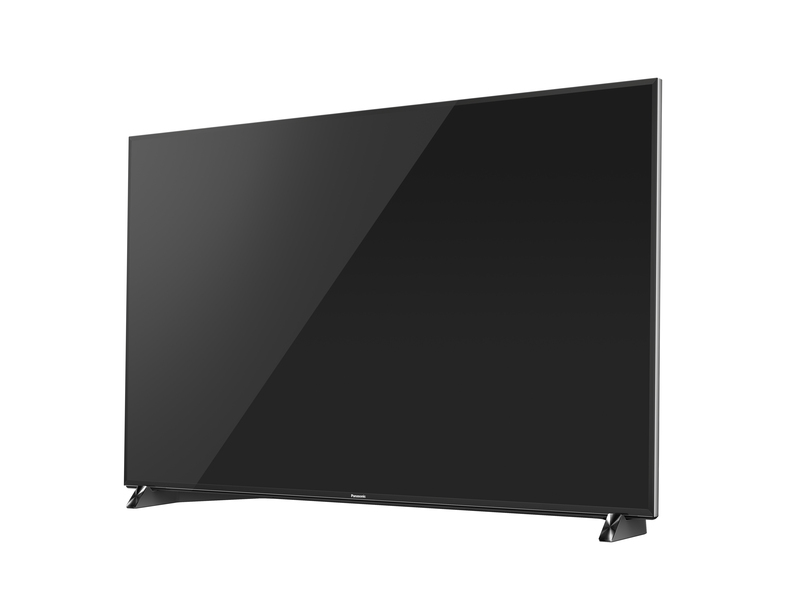 With the DX902 they are proud to point out it is receiving some of the best reviews across the Internet of any LED TV. 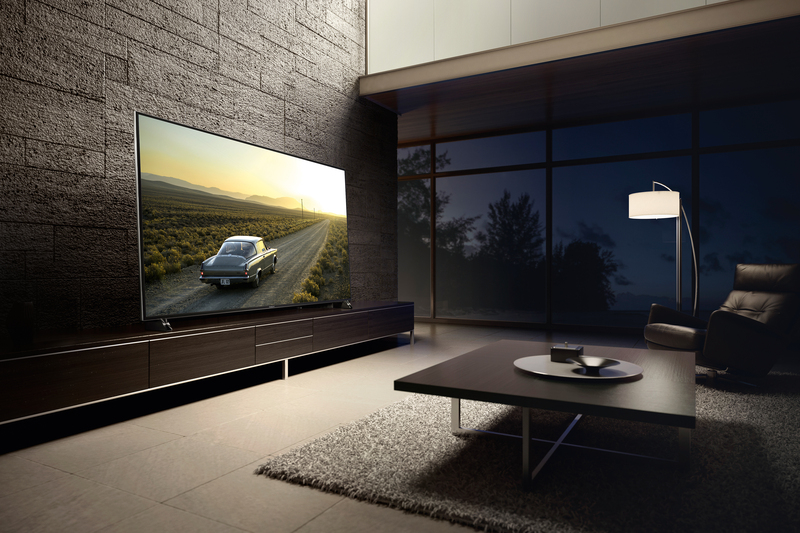 Previously Panasonic have spent a lot of time concentrating on plasma however they are having to keep up with the times as people are wanting thinner televisions with better power usage ratings. 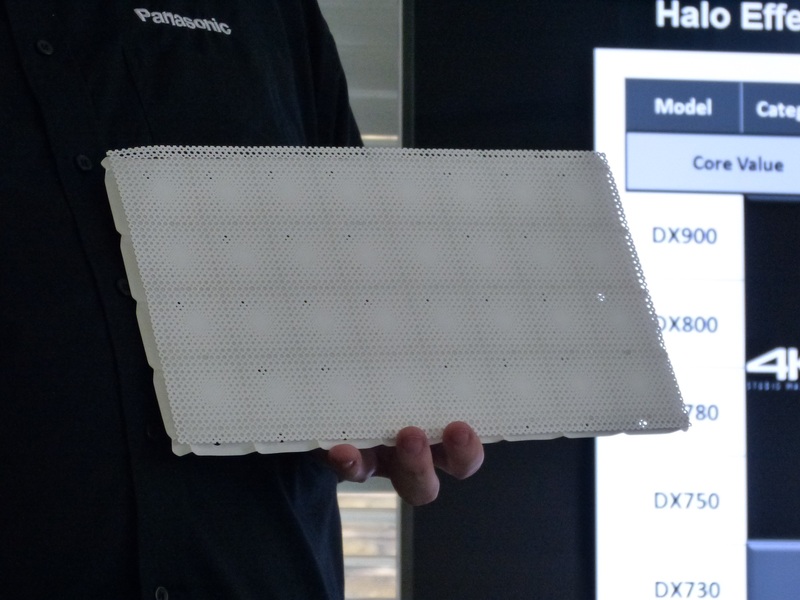 Pushing the LED technology as far as they can Panasonic has put in a vibrant 4K panel that handles HDR better than most. Additionally the Firefox TV operating system is in play here and gives a fast, responsive and easy to use experience for any TV user. Around the back of a panel are 4 HDMI ports with Audio Return Channel (ARC) and thankfully each of these is compliant with the high definition copy protocol (HDCP) 2.2 standard. Three USBs have been installed one of which is USB 3.0, and Panasonic have thankfully added set of optical audio outputs alongside the standard ethernet and tuner for Freeview and Freesat. As usual with the last few incarnations of Panasonic Viera TV’s we have two remote controls, a standard IR remote and a Bluetooth TouchPad that adds voice control. The real star of the show year however is the new backlight technique Panasonic are employing, utilising local dimming. This screen is not lit from the edge, instead it uses a very specific structure with seven by seven clusters creating isolated areas of the screen to minimise any leakage. This allows the panel to have exceptionally deep blacks. We witnessed a test of Mad Max: Fury Road from a 4k disk and the results for stunning. What we’re seeing here is one of the first televisions with 10-bit HDR, a new standard supported by Ultra HD Blu-ray. The loss of detail and clipping is astonishing however Mad Max: Fury Road actually has dropped frames integrated into the original negative and some may mistaken this for performance problems. The DX902 has a new HCX+ (Hollywood Cinema eXperience plus) processing chipset, an improvement on the 4K Studio Master Processor, that helps produce pre-HDR Rec 709. This has earned 4K Certification from the renowned independent quality assurance group, THX. The Award-winning cinematographer Vanja Cernjul, known from TV series such as Marco Polo and Orange Is The New Black, noted: “I think when consumers see a 4K HDR image, they will get used to it very quickly, and then just start demanding it”. Panasonic utilised Vanja to create a cinematic short film to demonstrate Panasonic’s VIERA Ultra HD Premium TV’s ability to reproduce the director’s vision. When all this is put together this TV really is one of the top TVs for the regular consumer, certainly experts may be able to see problems however for the average customer the combination of outstanding colour, ease of use, to the point feature set and elegant look really make for a winner. Whilst pricey you really are getting what you pay for here and if you’re entertaining a 4K screen this summer then the DX902 is one to look at. The DX902 comes in two sizes, 58-inch for around £2700 and 65-inch costing around £3200. More information is available on Panasonic’s website.